Our courses are challenging enough for the experienced racer while still remaining gratifying even for beginners. The fun, social setting of our team and individual formats is always a crowd-pleaser. Anyone can be a winner… why not make it YOU! Sign up for one of our adult racing leagues and bring the kids with you as you compete against others for best time. One lap around the track with our electric go karts, and you will forget your worries and cares. The speed will take your stress away and allow you to compete against some the best competitors in the racing leagues. 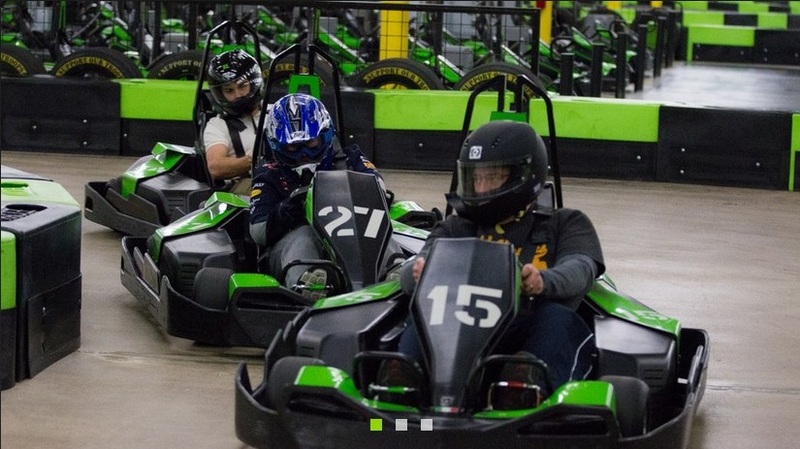 Kids can take part in the fun too with our youth racing leagues that offer kids the opportunity to race our indoor electric go karts against their peers in a fun and safe environment. This social outing will allow your child to meet new friends and learn the art of sportsmanship. You can sign right up with Speed Raceway to create your team of speed demons and take your skills to the course. We offer the perfect locations for racing leagues with facilities in Horsham, PA; and Cinnaminson, NJ. These racing centers serve the Philadelphia, PA; Doylestown, PA; Willow Grove, PA; Trenton, NJ; and Camden, NJ, areas and are centrally located to you. Racing leagues are the perfect after work sport that can help you relax and unwind. You’ll find that after a few laps around the track, you feel like yourself again. This is the ideal way to de-stress and a good way to be active and social during the week. You meet plenty of new people that have the same interests as you. And, most importantly you’ll have loads of fun, making our racing leagues a great way to spend your free time day or night. Need More Information? Contact A Go Kart Racing League Director Today!